Power Crunch Bars - 1 Bar (Cookies & Creme) for $0.25 at Walmart! These bars are delicious and use a pure whey isolate , so just about anyone can eat them. There’s only 12-13g protein per bar, so we want $11/box. 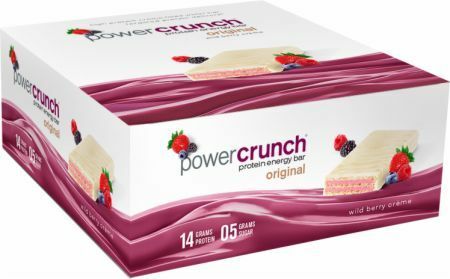 Power Crunch Bars - 1 Bar (Cookies & Creme) for $0.10 at Walmart!